Comfortable, soft feel, gentle on teeth and gums between teeth brush. Merely, for the reach toothbrush and teeth and remove, caries and periodontal disease prevention in effect. Not using a metal (wire) brush part. Tip taper machining can be smoothly inserted during narrow teeth. So leathery body brush, smooth fit to the teeth between narrow and wide interdental. 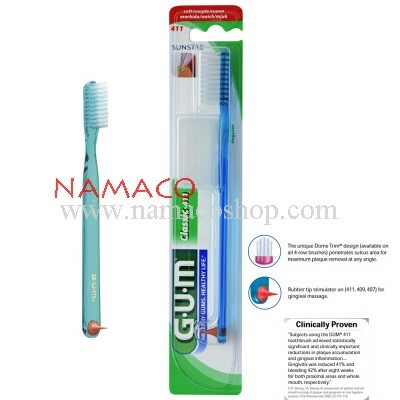 Rubber brush and massage gums and gum health help. Size guide-teeth between the commercial use SS & S / M size brush for newbies. 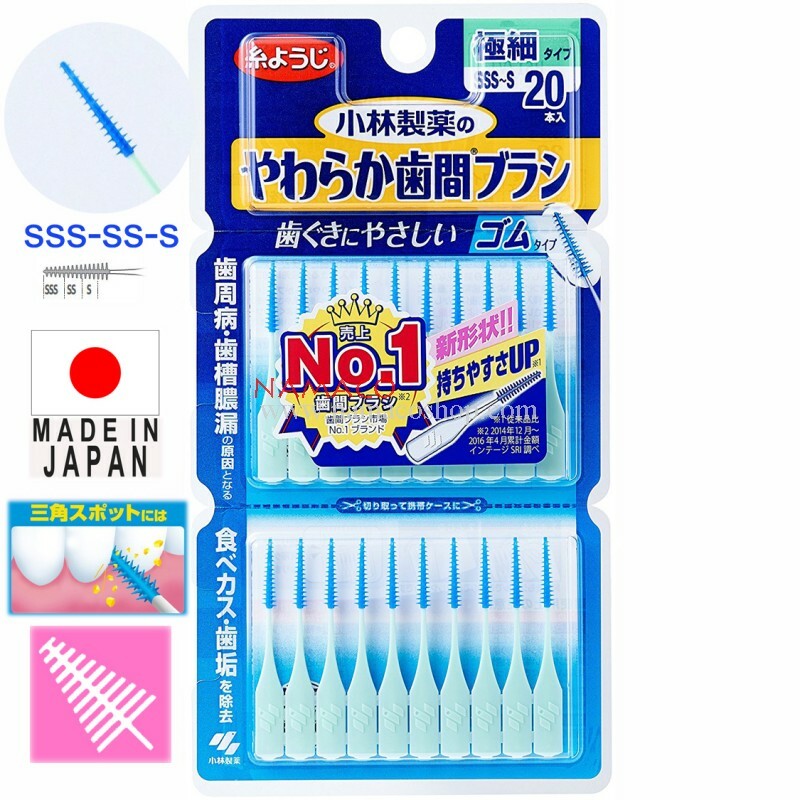 - the tip of the brush size is SSS, end part S size between standard design. 1. interdental brush to remove the bottle, please use. * To use without bending shaft. 2. hurt my gums while looking into the mirror inserts slowly perpendicular to the proximal, moving back and forth over a clean. -Teeth between narrow and difficult to find if you forcibly pull and rotate it. You may brush's axis is curved to cause trouble from corruption of the brush, I fried my gums and teeth and used excessive force. -Bleeding gums are weakened, but in everyday use bleeding gradually less. If the bleeding continues to refrain from using that to consult a dentist. 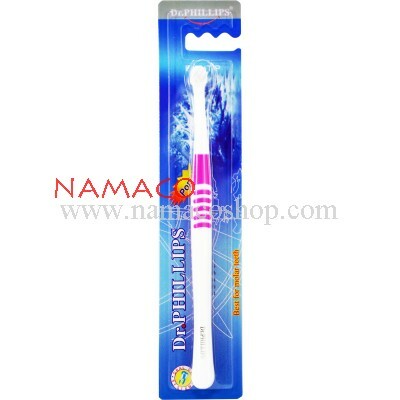 -This product is interdental brushes for cleaning, so does not use for purposes other than cleaning between the teeth. 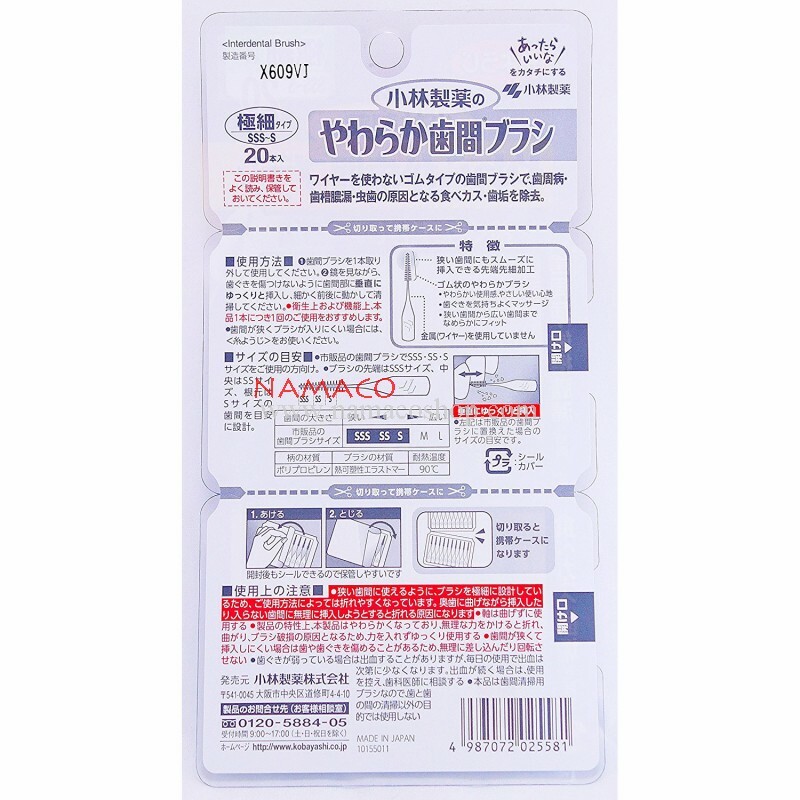 -After use, clean with water then dry it and keep sanitary. Handle material: polypropylene brush material:SEBS heat-resistant temperature 90 degrees .